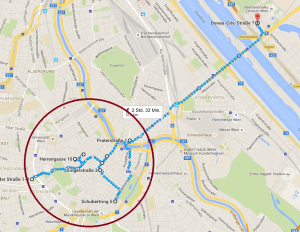 If you are planning to go to Vienna – and if it would only be for a couple of days – you might get a lot of suggestions by travel agencies or agents. Well there are plenty of opportunies to stay. I do not want to make the regular comment about high/mid/low budget. I want to suggest how you get the best value out of your money, see the most and maybe sometimes for different angles. Newest kid in town. Located directly in the center of the city. Former wellknown bank transformed into a luxury hotel with spa, pool, cigar lounge, restaurant and bar. Great location to be. Business&luxury Hotel! 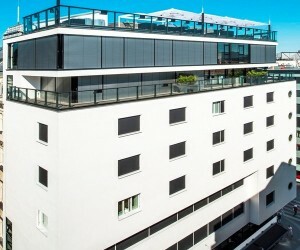 Located in the heart of the city – everything within walking distance – this hotel really offers value for money. If you travel alone or with family – you will be able to afford this. No doubt about this. 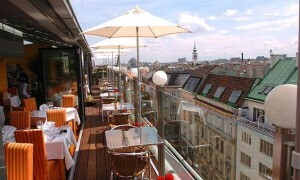 Just turn around the corner or visit their great rooftop bar and you will have St. Stephans Cathedrale in front of you. Prices are reasonable and again- a great place to be. If you get tired from walking around in the inner city – just go back for a short nap or refreshing or visit the coffeehouse at the bottom of this building. This house is just opposite St.Stephans Cathedrale. No way for getting any closer! 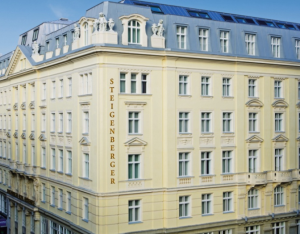 Some of the room face the Cathedrale – so you sleep face to face to THE SIGHT of Vienna. 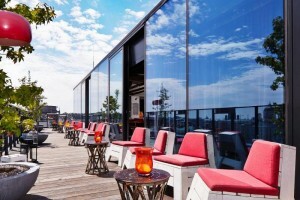 The hotel offers an excellent but pricy restaurant on top and a great bar in the evening. A place where society meets. Even though you might not believe this hotel chain is not the best pick. This hotel will definitely prove you are wrong. Designed by the famous French architect Jean Nouvel. ( http://www.jeannouvel.com/) it is maybe the best place to go for a dinner starting at 17:00 endingt late at night. 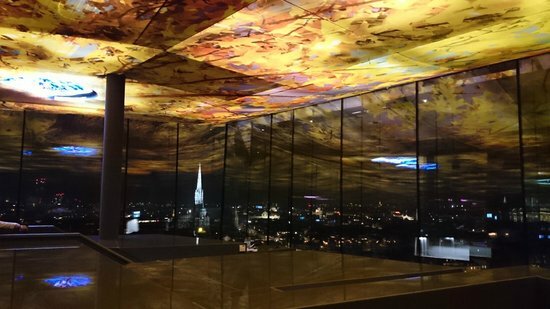 But don’t forget to make a reservation at this rooftop bar &restaurant otherwise you might not be able to enjoy Nouvels great idea of setting up an great artwork on the ceiling of this building – which will create an endless painting over the changing skyline of Vienna. Definitely a MUST-DO! Located on “the Ring” (a street that leads around the inner district) this Hotel might seem to be a bit outside the inner district. But it is closer than you think. Only a 5-10 min of walking you will find the opera house, which is at the beginning (or end as one might say) of Viennas most important shopping streets – the “Kärnterstraße”. Great – just newly renovated house. With a great RooftopBar on top. Very close to St. Stephans Cathedrale you will find this hotel very interesting. It is still a kind of older fashioned Hotel but has a great mediterian restaurant on top called “Settimo Cielo” and a outdoor terrasse. If you don’t wont to stay there – just go for a dinner or lunch. Its worth eating there. For those of you who do not mind being located outside of the innercenter (or have some business to do with the UNO) this newly addes landmark is worth a try.Great view over town- Good restaurant & Rooftopbar! See Vienna from a different side. 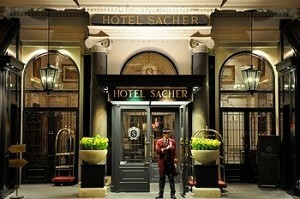 The Hotel of Vienna, famous for its legendary status (meetingplace of high society) & its cake called: “Sachertorte”. 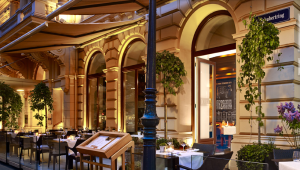 It is a very old institution and one should – if not staying there – at least go there once and visit their great restaurant or coffeehouse and have a Sachertorte (which is included in the hotel). The hotel has a very nice SPA – in case you need a rest. Very good location next to the operahouse. 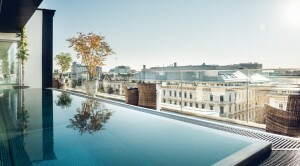 Hotel with a pool!..Why going to Singapore for a great view-with a pool over the city– if the good is so close nearby. This amazing new kid in town (open since Oct2015) is definitely a “must-see”. 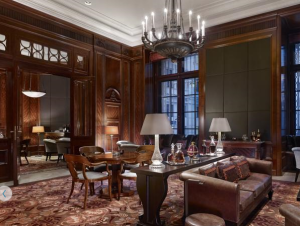 Designed by the Viennese star architect Atelier Heiss is shows the effort of matching “old” and “new” in great ways. 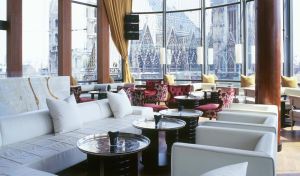 Go for a cold drink on a hot summerday and enjoy the beauty of Vienna. Hotel Grand Ferdinand – Vienne – Autriche from Suite Privée on Vimeo.